This mixer is designed for maximum flexibility. It features 16 XLR Mic, 1/4" Line inputs. It is perfect for larger exhibit booth demonstration areas. The 1604 is also an excellent choice for meeting applications where a number of mics, and audio sources need to be mixed together. Liam always uses this mixer in live shows. "I take a Mackie 1604 out live. As far as I'm concerned, Mackie are the best desks for dance production. I had a Tascam 32 channel, and I sold it to Shades Of Rhythm, and I had done as much as I could do with it. Mackie has much more headroom. I went from a 16 channel Mackie to buying that Tascam and after a year, I still couldn't get a good sound out of it. So I went back to basics - like two 16 channel Mackies. Then I was happy again!" . 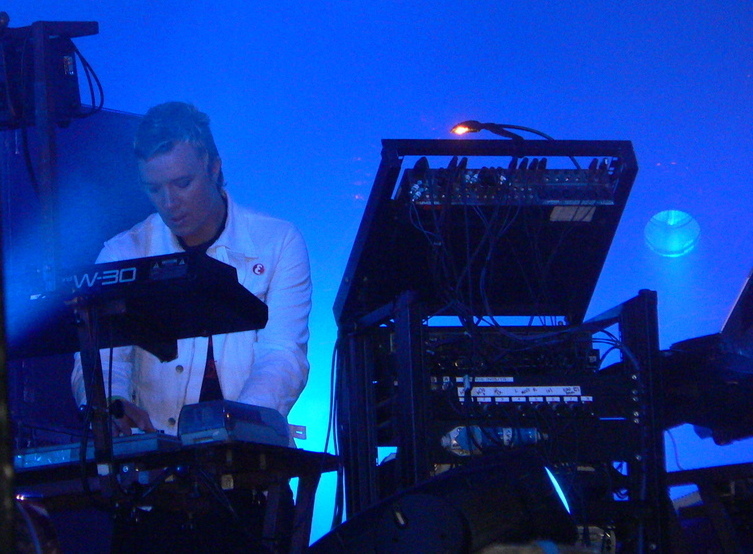 This picture is from 2005 and you can spot Mackie 1604 on top of his rack.